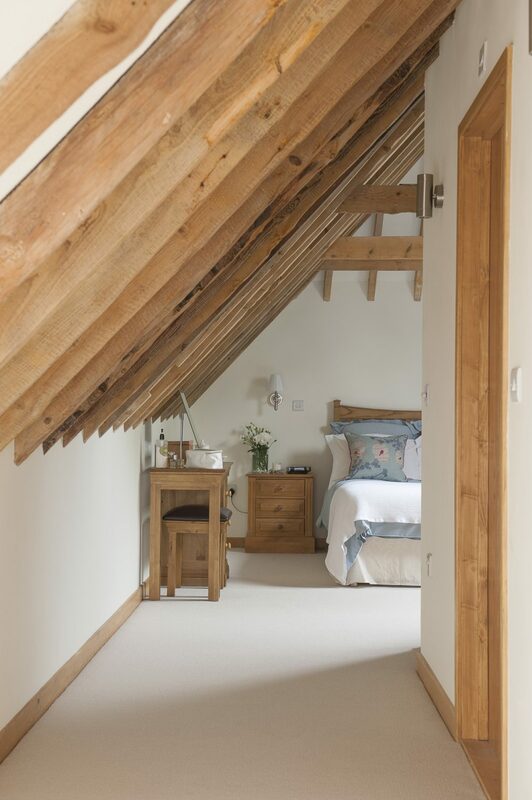 Vicky and James have converted a cluster of former farm buildings into a superb, eco-friendly 21st century family home that won them the Ashford Borough Council 2009 Design Award for Building Conservation. 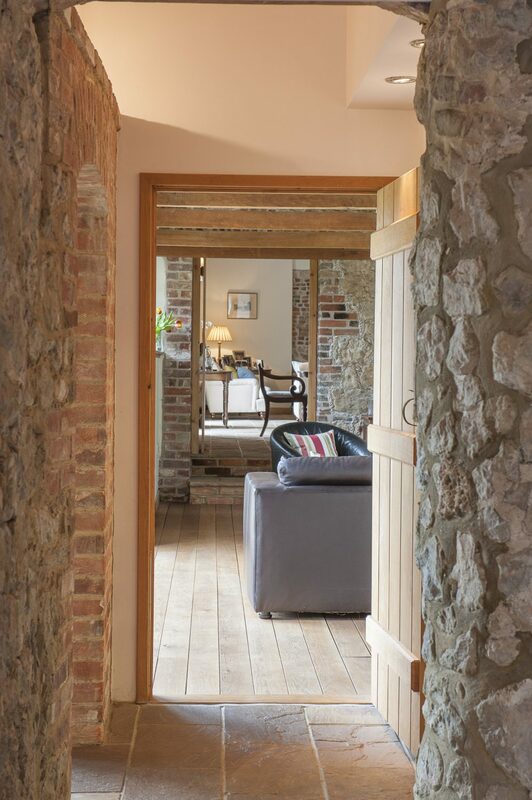 Over the 17th and 18th century, a group of sturdy farm buildings grew up next to a farm house in the Kent village of Aldington – a small oast, a granary, stables and a cow shed. However by ‘sturdy’ we are not talking something that would merely keep the rain out and the cattle cosy. We are talking about something that would defy Panzers. In most places these walls are ragstone two feet thick. This was a time when families built not only for themselves but for future generations, particularly their own. Today a cowshed is architectural ephemera, thrown up in breeze blocks with a dash of steel. In the 18th century, they built for their children and their children’s children who, of course, would be the inheritors of their labour. However, the best laid plans of mice and farming men have a tendency to gang agley and today these walls are not the property of the descendants of the original builders nor even of another farmer but of an estate agent and a solicitor who have fled the capital with their two children to a new life in this lovely corner of Kent. And not only do they own the walls but also live within them. When Vicky and James first saw this farmyard it was in a sorry state. The years and elements had taken their toll. The owners sold it as two lots and Vicky and James bought the side that included the oast and granary and a developer bought the barn and adjacent cow shed. The couple began their restoration but the project proved too much for the developer, who then put the ruined buildings up for auction. “But it failed to reach its reserve and it finally went to tender,” says Vicky. James had been brought up in the adjoining village of Bonnington and watching the saga unfold with interest was his father Michael who still lived there. Michael had recently retired and was looking for a new project. He looked closely at the barn, a magnificent structure with spectacular timbers, and decided it would be an outstanding event venue particularly for weddings and parties. He decided to buy it and start a new business. 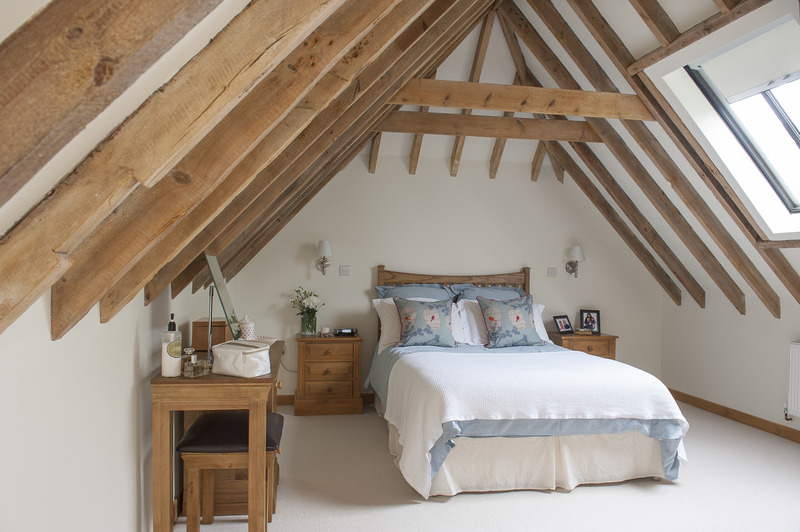 The couple had bought their part of the property in the winter of 2005 and began a highly successful relationship with Rod, Mike and Dan Gibbs of Aldington-based local builders R J Gibbs & Sons who specialise in listed renovations, barn conversions and architect-designed individual new builds and who have featured on Channel 4’s Restoration Man. They, in turn, recommended architect Patrick Kennedy-Sanigar of award-winning design consultancy Space Shuffle, perhaps best-known for his ground-breaking eco-builds. The couple took Rod and Mike round the site and asked for their opinion before they even bought the property. The response wasn’t encouraging: “Are you sure you want to buy this?” Little did they know that it was the beginning of their involvement in an award-winning project. Patrick’s use of available space is masterly. This is a Tardis of a property – one expects the Doctor and assistant to stroll through the door at any moment. None of the buildings are on the grand scale of the barn and yet nowhere does one get so much as a whiff of compromise. 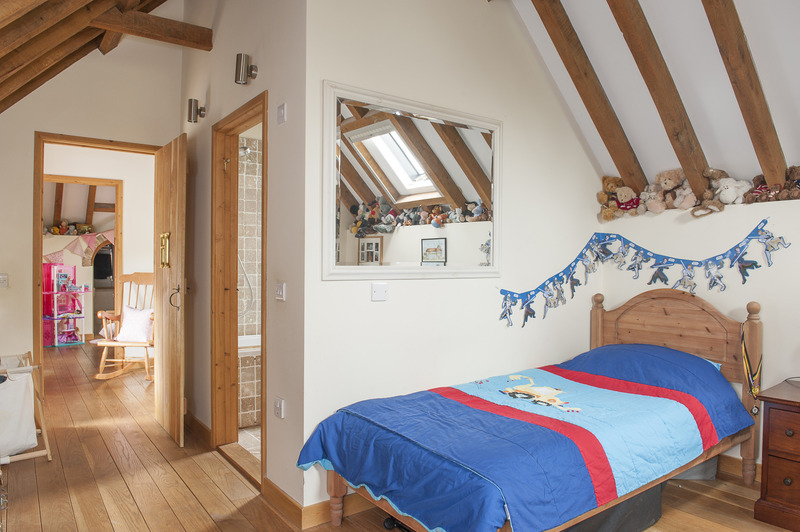 All the main rooms are light and generous with not the slightest hint of the restrictions placed on all involved by a Grade II listing and relatively small footprint. 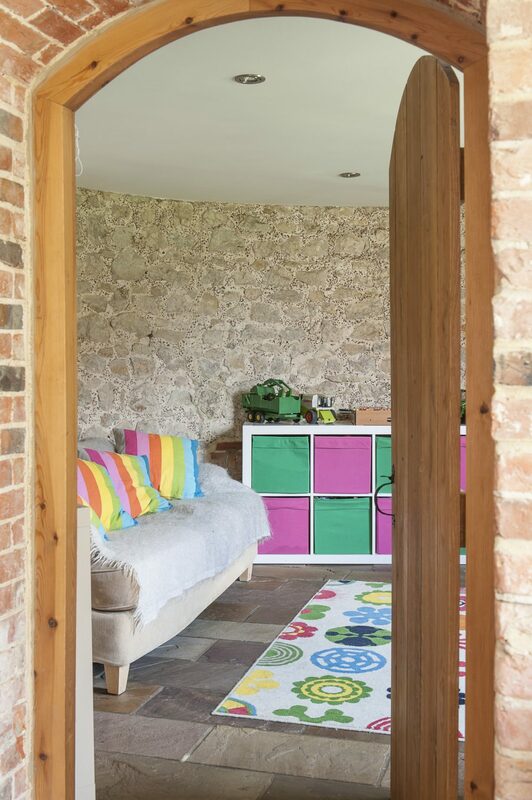 At one corner of the yard is the oast, its roundel now home to a guest bedroom and en suite shower room upstairs beneath the now-working cowl and the children’s playroom beneath. 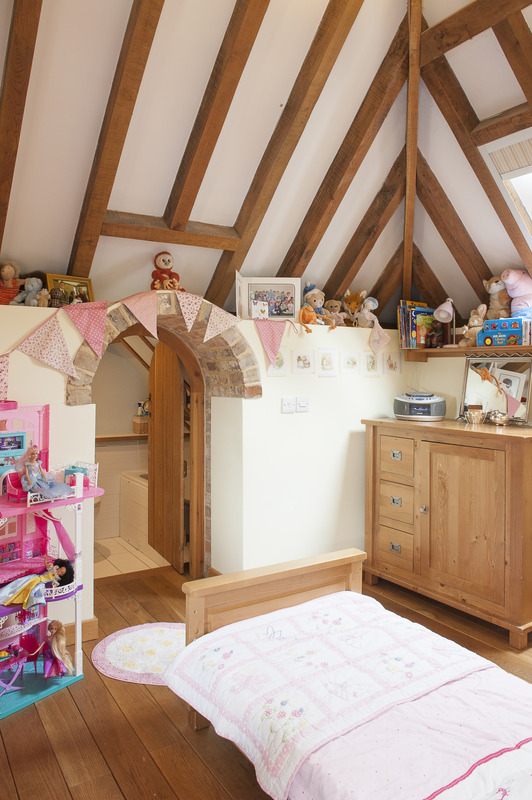 “Access to the bedroom was always going to be a problem,” says Vicky, but it was solved by a narrow staircase that climbs to a Gothic-arched dwarf door. You have to duck to enter but it’s a small price to pay for the romance of it all. 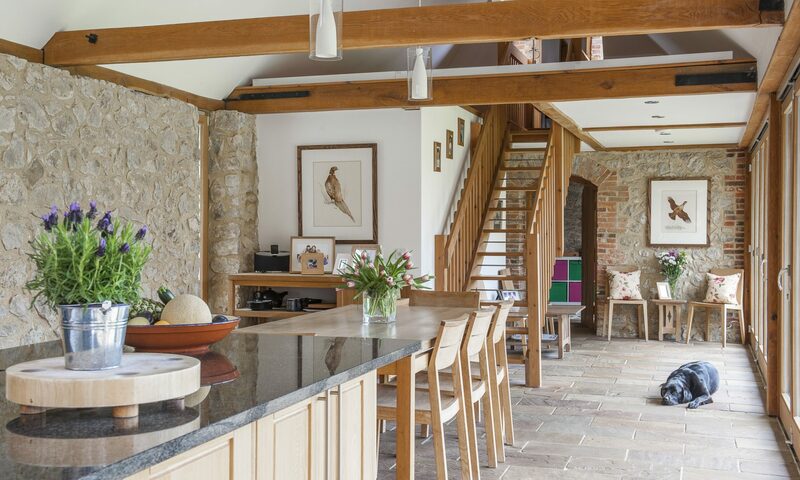 Descend from the bedroom and you enter the heart of the house – a wonderful vaulted kitchen/dining room – three walls of exposed ragstone and the fourth composed of three sets of bi-folding doors that open into the garden. 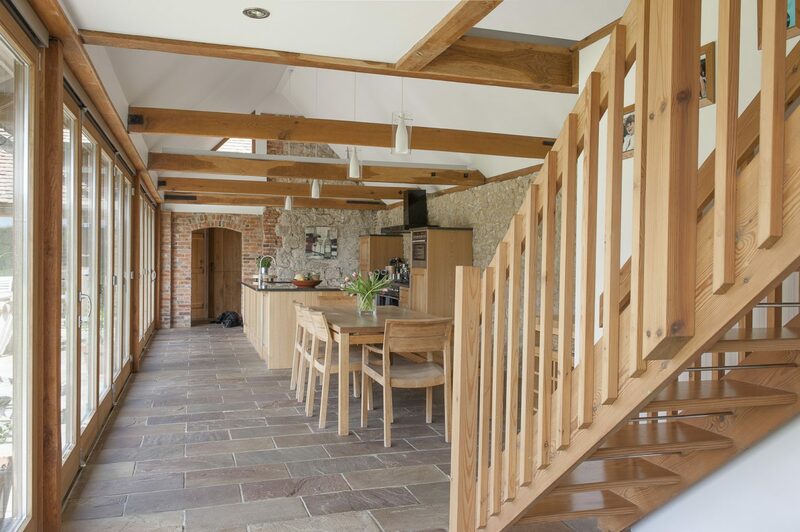 “We wanted to make the garden very much part of the kitchen area and we used the same Indian sandstone flooring inside and out to help link the two,” she says. Dramatic though the bi-folding doors are, they didn’t come without their problems that stemmed from something vital lost in translation. They were made in Norway and when they arrived the gap was a vital few millimetres out. What was needed was an Anglo-Norwegian summit and the makers flew to the UK to help sort out the problem. Also downstairs, in the original-build section of the house that was the old granary, is a study/guest room that is home to a magnificent 1890s desk that once belonged to Michael’s great-grandfather and which has been beautifully restored – as so many of the couple’s pieces have been – by Smeeth craftsman Richard Tozer. Richard was also responsible for the Georgian chest of drawers in the adjacent vaulted sitting room and James’ great aunt for the leather chairs. On the wall is a French pastoral scene by family friend Andrew Harland. Upstairs are children Katie and Harry’s rooms. They’re the smallest in the house but, then, so are Katie and Harry. 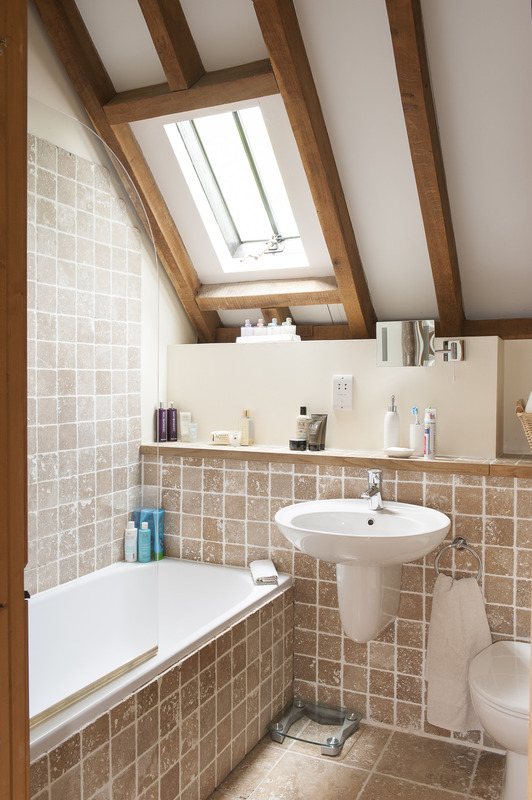 Both rooms are vaulted and Katie has her own bathroom. 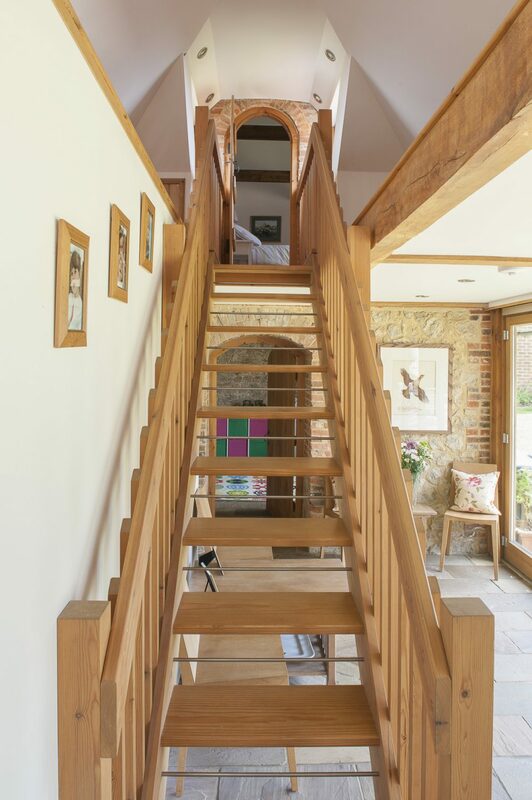 The floors are oak with – as elsewhere – underfloor heating powered by an air-source heat pump. The second phase of the build brought in the cowshed donated by Michael. This was destined to become the most elegant room in the house – a wonderfully spacious and bright dining room and formal drawing room. As you enter, the first thing that catches your eye is a Regency dining table and matching blue and white upholstered dining chairs – the former repro though you’d never guess – and the latter the real McCoy courtesy of Richard Tozer. Other lovely Tozer pieces here are a William IV glass-fronted bookcase and a lovingly restored sideboard from the same period. The sofas gathered round an Italian glass table and a woodburner are from Made.com while on the floor under the table is a cream Himalayan rug. One wall is largely glass and opens out on the garden while the other retains its original tiny arrowslit windows. 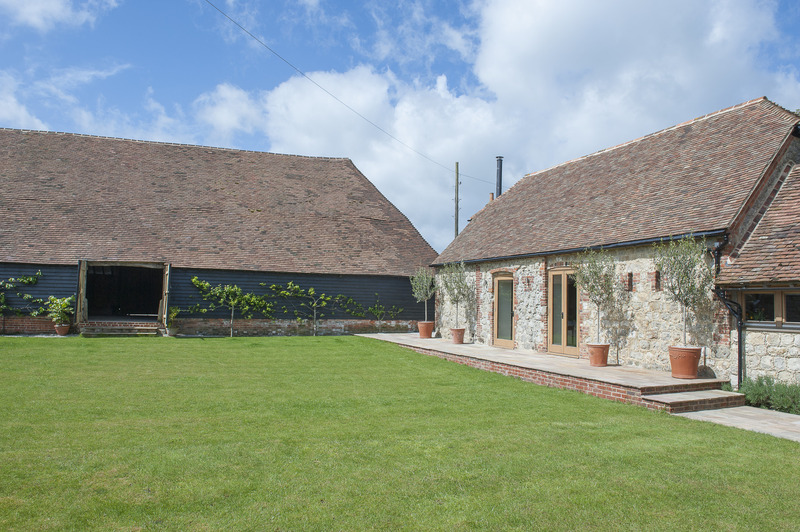 As the second phase of the couple’s build was under way so, too, was Michael’s renovation of the barn, the oldest building on the site. 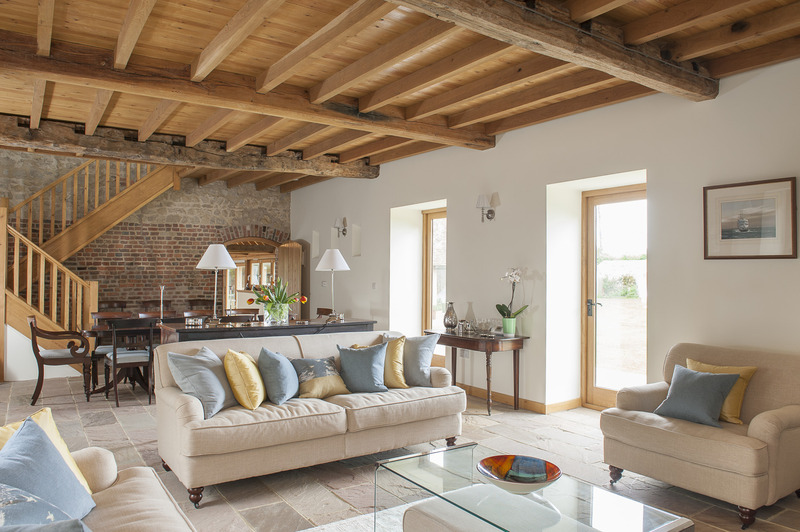 A traditional 16th century Kent threshing barn, the building covers an area of some 350 square metres with soaring vaulted interior and truly breathtaking timberwork. “It was in a pretty sorry state when we bought it,” says Michael. “The previous owner had started ripping out the old timbers and replacing them with pine and one end was near to collapse.” The roof, too, was in need of serious TLC and, working with roofer Gary Wanstal, Michael had to replace one complete side using 14,000 clay nib tiles from Symonds Salvage in Bethersden, which had to be bought to replace the number of originals that were found to be missing. Whilst the building of new doors was subcontracted to Tim Sparkes, the renovation of the timberwork was down to Mike Gibbs who also came up with innovative ways of disguising items like the new steel ties that now strengthen sections of the ancient structure. His company also came up with the solution to the failing end walls of the barn – a hidden exterior buttress. Today, the barn is now open for business, certified for marriages, and has hosted its first wedding. “We’re delighted with the way the project went and, of course, with the finished building,” says Michael. 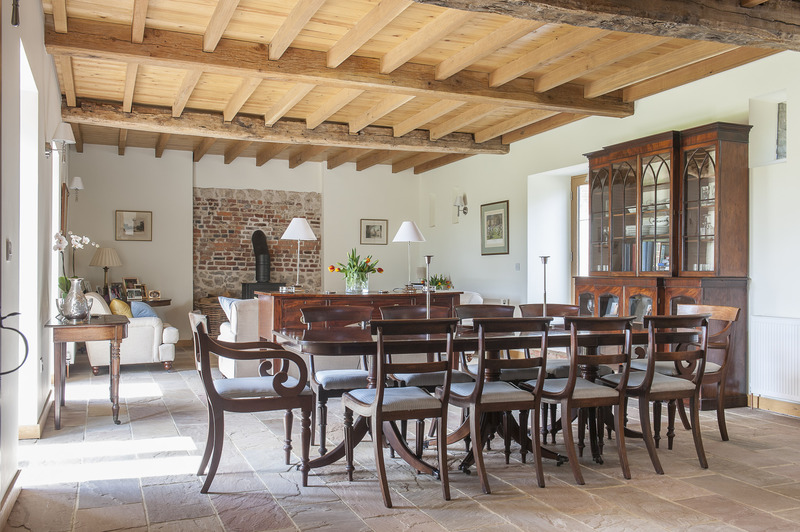 And well the family might be – it’s a superb space for any large gathering. In the 14th century Robert Ruffyn, a constable of Saltwood, built a manor house on Ruffyn Hill and the family added the present barn in the 16th century and it was passed down within the Ruffyn family for over 200 years, until 1644 when the ownership passed to the Champion family who probably built the oast, granary and cowshed. In the late 17th century the custodians were the Deedes family, who owned it for over 100 years before it passed to the Boulden family, who still farm the surrounding land, and then to Vicky, James and Michael whose conversion of the property into a superb, eco-friendly 21st century family home won them the Ashford Borough Council 2009 Design Award for Building Conservation. This is not, perhaps, exactly what the Ruffyns or Champions expected to happen to their buildings but one cannot but be sure that they would have certainly approved of the final happy outcome.